Southpoint - LUXURY & LOCATION! 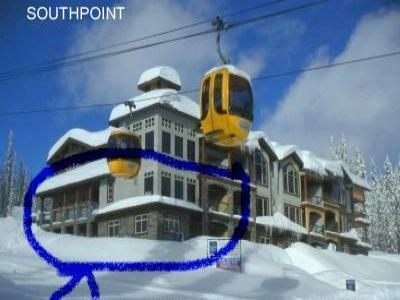 SOUTHPOINT -Truly the Best Big White Ski in and Ski out location! enough, we now have a larger even more beautiful condo too! Snowmobiling , Gondola... Just ask ! Linens provided, Washer, Dryer, Balconies with Private Hot Tub. and mega coaster tubing hill! for more info ! YOU WILL LOVE BIG WHITE!!!! Discount for more than 7 nights! JUST ASK ! Just ask if you have a larger party! We have another condo that sleeps 11 !!! EARLY BOOKING SPECIAL...BOOK BY OCTOBER 1...  BOOK NOW!